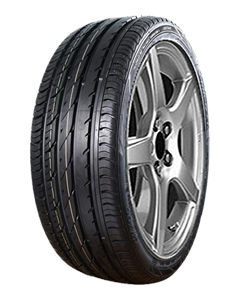 The CF700 line of ultra high performance tyres cover the 205-275 range of widths. An asymmetric tread design ensures ride stability and precise handling. 4 straight circumferential grooves drain water and minimize hydroplaning at high speeds.